Our Membership runs July to July. for the price of 12 mo. ACTIVE Licensed Community Association Managers attend all of our events at no cost. Associate Vendors fees help offset the cost of the Manager's Attendance. Therefore, all of our Associate Vendors are investing in Manager Education. Our event costs can range from $15-$65 for attendance. 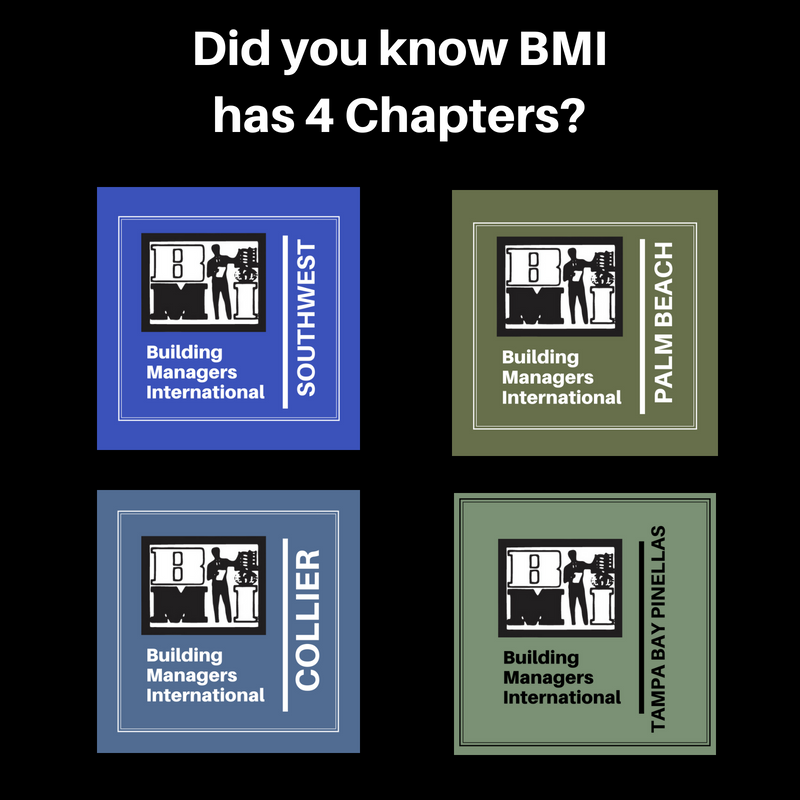 There are several ways to support our chapter and stand out at BMI. 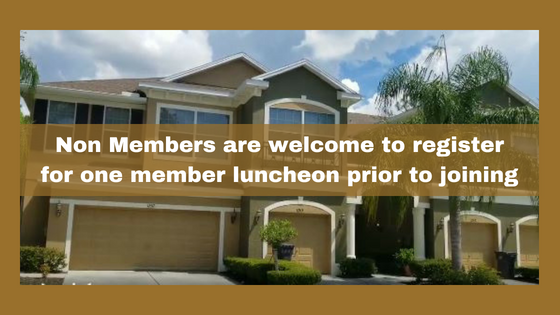 Access to all Member Luncheons @ Flemings Prime Steakhouse in Tampa. Company listing by service category in our printed Member Directory passed out at all events and distributed to the Management Company Offices. Opportunity to Advertise in our Member Directory Magazine published Semi-Annually. We offer approximately 15 Complimentary Educational Courses a year to ACTIVE licensed Managers. All BMI Members receive 30% off Constant Contact Email Marketing and Contact Database. Smart Marketing Offerings to our Associate Vendor Sponsors for ALL Events. Family Atmosphere at all events - We purposely focus on creating a comfortable environment for our members to build relationships. Pinellas Beaches, up to Pasco. A majority of our events are in the Tampa Westshore and North Tampa Areas. Annual Mini Trade Show & Workshop opened to Community Associations Managers and Board Members. NEW in 2019 - Quarterly Maintenance Tech Workshop Luncheons or Breakfast. Tentative based upon Mgmt response.